Now a practice relegated to specific industries, apprenticeships were once the norm in the business and professional world. Internships, which have largely taken their place, are designed for the purpose of exposing an aspiring professional to their chosen industry. Yet internships often lack the aspects of personal connection and tutelage so important to an apprentice relationship. Recognizing the benefits of these aspects, many professionals today turn to mentoring arrangements to fill the void of guidance and support. 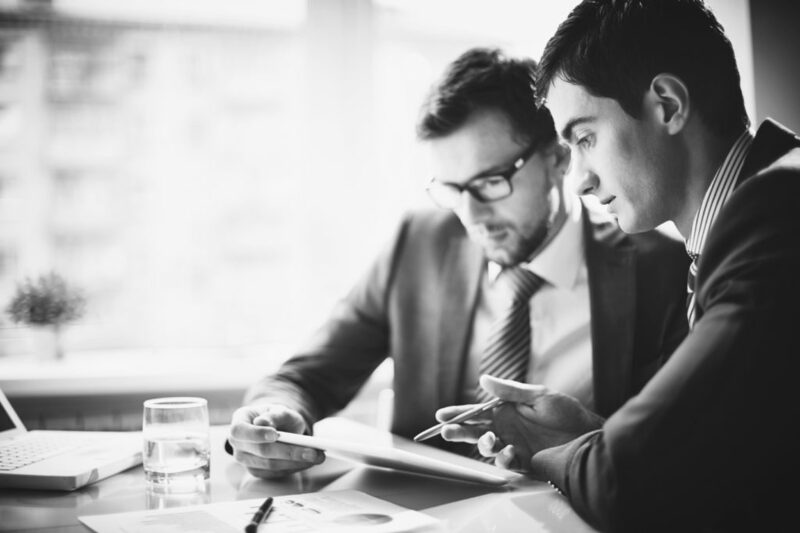 Particularly in a field like independent consulting, connecting with someone in a mentoring relationship can result in valuable benefits for both the mentee and mentor. One of the most recognized benefits of working with a mentor is the business-related guidance and advice they can share. For new consultants, this can be invaluable, as a mentor can help you build the fundamental knowledge and information needed to start a consultancy and work for yourself. Even for independents who have foundational knowledge, a mentor can help you recognize and develop strategies related to your business. Mentors can also serve as a sounding board for ideas, questions, or brainstorming sessions. An experienced mentor who is well-established in their field will likely have strong connections in place with vendors, other consultants, and possibly potential clients. In addition to providing you with the names and contact information of people who could become part of your professional network, mentors can take it one step further by making an actual introduction. Often, an introduction will carry the same weight as a referral or even an endorsement. Beyond integrating their mentee into their network of business connections, mentors can also teach you how and where to make your own connections. This is particularly valuable to those new to self-employment or to those who have recently shifted the focus of their business and need to cultivate a new professional network. While mentors can be valuable resources for business knowledge and professional benefits, a good mentor is also someone who serves as a confidant, friend, and support system. A mentor is someone who is there to listen and provide advice when you vent frustrations, offer support and encouragement when you hit a rough patch, and guide you in a direction that will help you achieve positive business results. While the mentee is generally considered to be the student, the truth is that mentors can often learn quite a bit about themselves from a mentoring relationship. Mentoring a new consultant can provide valuable opportunities for introspection. The simple value of having another person to share ideas with can spark creativity and innovation, regardless of your mentee’s experience in the field, and can help you get your own business out of a mental rut that can be caused by routine and habit. New consultants may also give your insight into new and emerging trends to keep your skills and industry knowledge current. While the early stages of mentoring may include helping your mentee make connections, the ability to share and expand networks can soon become a two-way street. As your mentee establishes themselves as a consultant and learns from you as a mentor, they will likely branch out and expand their network by connecting with people who they can, in turn, introduce you to. These may be people you simply haven’t connected with yet or people in a new and innovative niche that you hadn’t considered working with before. For many mentors, taking a young consultant under their wing and helping them find their footing and establish themselves brings an immense sense of personal satisfaction. Whether “paying it forward” after learning from your own mentor, giving back to your business community, or simply lending a hand to someone who is in the same struggling early stages of consulting that you once were, serving as a mentor can be a rewarding experience that results in your own personal and professional growth.